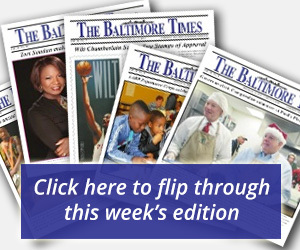 BALTIMORE  It started as a method to ease the strain of food deserts, but today the Baltimore City Health Department’s virtual supermarket program known as, “Baltimarket,” is exceeding the expectations of skeptics and others who may have initially doubted its viability. “I would definitely say that the program has been a success,” said Laura Fox, the director of The Baltimore Office of Chronic Disease Prevention. “The program started out in our libraries and people had to order and come out to pick up their deliveries at specific times. While we love our libraries, it wasn’t exactly home and, so, we expanded the program. 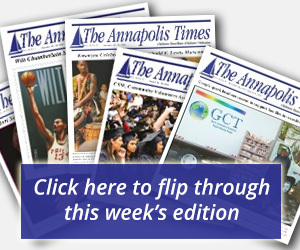 The “Baltimarket” program, which began in 2010, allows Baltimore City residents, including those who receive SNAP benefits, to order groceries online and pick them up at their local library and select locations in the city. The program now includes ordering and pick up at city housing units, including senior housing. “Baltimarket” serves East Baltimore, Washington Village, Cherry Hill and the centrally located Enoch Pratt Free Libraries. Residents place their orders online while following easily discernable instructions and promotional codes, Fox said. There are no delivery fees and residents pay only for the groceries they receive, using cash, credit, debit and Electronic Benefit Transfer cards. There is also no maximum on the amount of groceries an individual can order through the program, but the minimum requirement is $25. The primary mission is to provide healthy foods, but, with the exception of tobacco products, individuals are not restricted in what they can order, Fox said. “The virtual supermarket program is the only program in the country, that to my knowledge allows for online delivery of food and is able to take SNAP, or food stamps,” she said. One reason Fox and other officials are excited about the program is that it makes it easier to shop for those without transportation, with limited use to a motor vehicle, or who live in food deserts. According to city officials, one fifth of residents live in a food desert and have little access to fresh and healthy food. Because of that, about 125,000 people are at a greater risk for obesity and health problems because of the lack of access to affordable and nutritious foods. Access to health food options is a key determinant of health, says the city’s health commissioner, Dr. Oxiris Barbot. The program makes it easier for residents to eat healthier says Barbot. In August, the “Baltimarket” program received recognition as the Urban County program winner of the Maryland Association of Counties President’s Healthy Counties Best Practices Award. “We are pleased that our efforts to improve the health and wellness of Baltimore City residents by providing increased access to healthy food options at affordable prices is being recognized,” Fox said. Further, the virtual supermarket program has been a great success in the city’s efforts to, “overcome the barriers to health that many Baltimore residents face, such as unhealthy cheaper options than affordable healthy options,” Mayor Stephanie Rawlings-Blake said in a statement. For more information about the program, visit www.baltimarket.org.